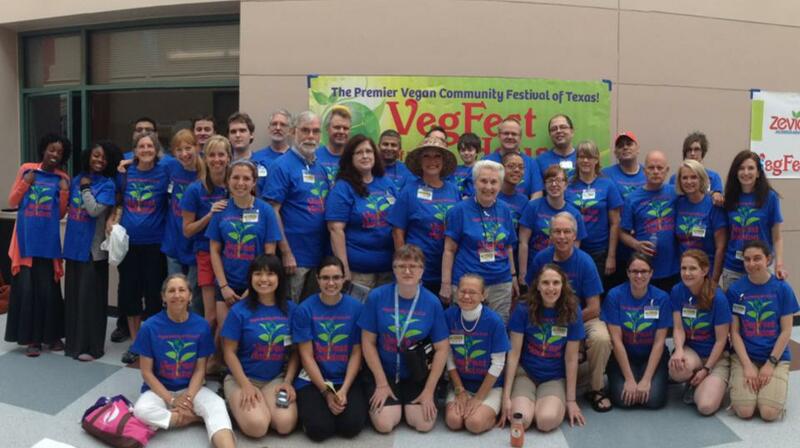 Our VegFest Houston Rock Stars at last year's festival! In addition to the rewards of volunteering your time and enthusiasm at our annual festival, you'll also receive special recognition reserved only for our volunteers including a festival t-shirt and invitation to our VIP Festival After Party! ALL VOLUNTEER POSITIONS ARE NOW FULL FOR 2014! Please apply again in 2015! *We can also approve volunteer time for National Honor Society High School Students, Scouts and community service hours. 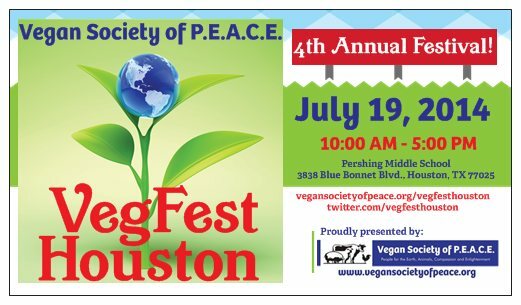 For 2015 volunteer questions, please contact our coordinator Phillip Salinas via email at volunteer@vegansocietyofpeace.org.